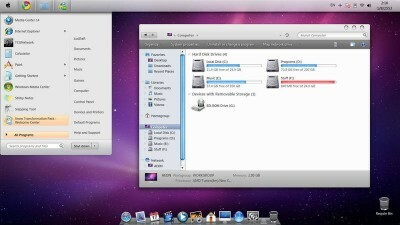 Related to "Make Windows 7 Desktop like Mac OS X Snow Leopard"
What does not burden the system? If you can add other features like when you want to attach a file then files look like normal win 7 if you can change that and starting windows make it like mac os,would be wondful.Otherwise snow transformer is hot!!! !